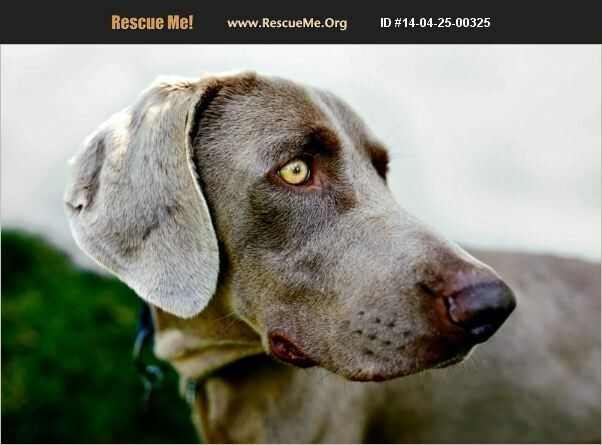 California Weimaraner Rescue View other Weimaraners for adoption. Vince came to us from a San Diego shelter. He arrived there in poor condition with bite wounds around his neck, face and legs. Because he was also emaciated, the shelter held him for a longer period to determine that he was basically healthy. Vince is slowly gaining weight - he's currently 57 lbs and should be at least 10 pounds heavier. He's a boy who has had very little care who will need patience, understanding, and encouragement. Vince has a natural tail. He's approximately a year old.